Rise and shine! Fragrance fanatics, this one is for you. One of my favorite hotspots in Paris to get beautified in a pinch is the Sephora on the Champs-Elysées. 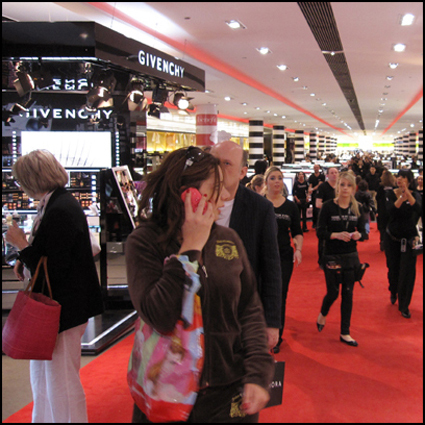 Boasting a dramatic ramp and a ruby red carpet, it’s one of the largest Sephora boutiques in the world. A superstar since 1969, the classic French chain is a cross between a gigantic supermarket and a glitzy playground, with testers available for every product sold. Dig a scent? Ask for a free sample. They’ll happily prepare one for you. To help make-up your mind, I’ve created a spray-by-spray shopping list of some of the famous (and sometimes difficult to find) fragrances available here. Sharpen your pencil! Here’s a list of my favorite scents, along the stars who loved them. Time travel just got easier! Princess Diana, Rita Hayworth and Jayne Mansfield fell for its full-bodied scent. Shaped and named by Madame Grés after voyaging to India, “Cabochard” translates to “stubborn” or “headstrong.” Gloria “Norma Desmond” Swanson was mad about it. Mae West, Joan Crawford, and Carole Lombard all found the original formula simply diva-licious. Mae West’s curvaceous torso inspired the shape of not just one hourglass-shaped bottle, but two—for Femme by Rochas and for Schiaparelli’s Shocking! Ava Gardner wore the original version, inspired by Monet’s water-lily paintings. Not only were Brigitte Bardot and Sarah Bernhardt devotees, but so were Roger Moore, Sean Connery and Peter Sellers. Created the same year the Eiffel Tower was built, ”Jicky” was one of the first fragrances to be made with synthetic ingredients. Patou launched it just after the stock market crashed, because he wanted to lift the gloom and give his American clientele something they could still afford to buy. Even so, it was immediately nicknamed “the most expensive perfume in the world” because it took 10,000 jasmine flowers from Grasse and 360 roses from Bulgaria just to make one ounce. Grace Kelly, Josephine Baker, Vivien Leigh, Sophia Lauren, Marilyn Monroe and Mary Pickford all helped spread a little Joy around. 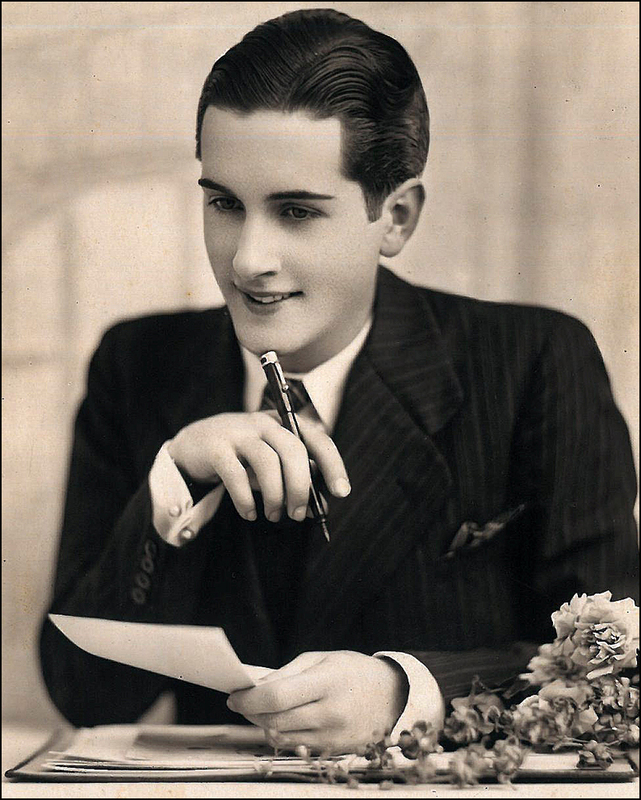 Celebrating the end of WWI, Jean Harlow, Ingrid Bergman, Charlie Chaplin, Anaïs Nin and Serge Diaghilev all took to Mitsouko’s bold intensity. Jean Harlow’s husband, Paul Bern (MGM producer), sprayed himself with her Mitsouko just before committing suicide, only two weeks after their wedding. Talk about lingering power! Created as a tribute to flyer Antoine de Saint-Exupery (author of “The Little Prince”), aviators around the globe, along with Claudette Colbert, Marlene Dietrich and Katherine Hepburn, all found the scent of “Night Flight” heads above others. Its bottle evokes an airplane propeller. Sephora is where I also pick up my beloved Bourjois eye shadow and blusher. Available in sweet candy-colored pots, I’m hooked. 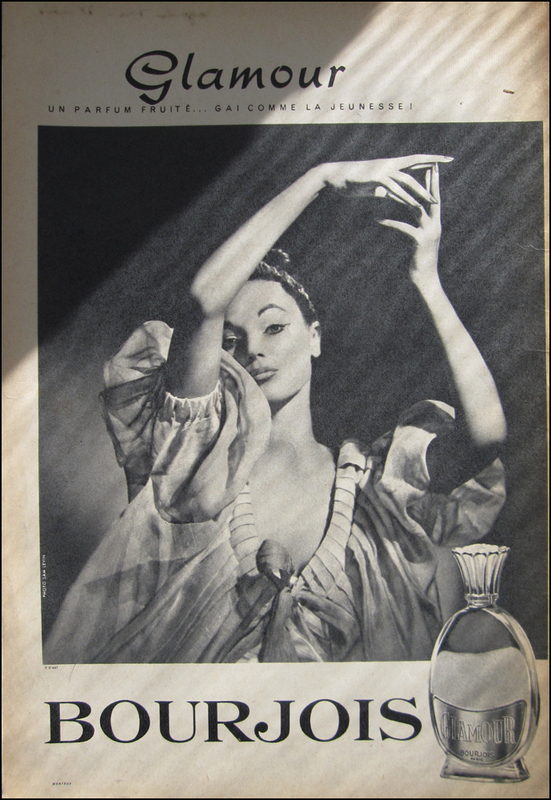 Historic Bourjois has been creating cosmetics (along with an extensive repertoire of wildly popular fragrances) since 1863. Back in the day, even actress Sarah Bernhardt was a fan! Wow, I love sampling those perfumes till I get dizzy, ha, ha, ha! My husband is quite a loyalist so since he gifted me my first Chanel Allure, I was stuck with it. That would just be toooooo tempting (I do have a bad Sephora habit when I’m in Paris; I really mustn’t add to it)! 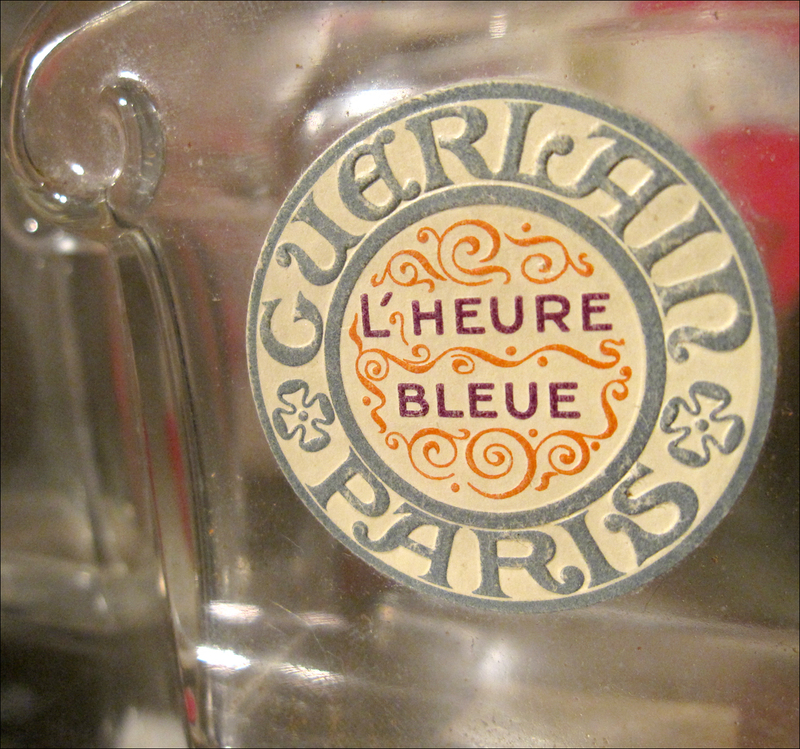 I didn’t like L’Heure Bleu as much; it was a bit too powdery on me… mind you, I managed to use a 100ml bottle quite quickly. Hm. Great stories! 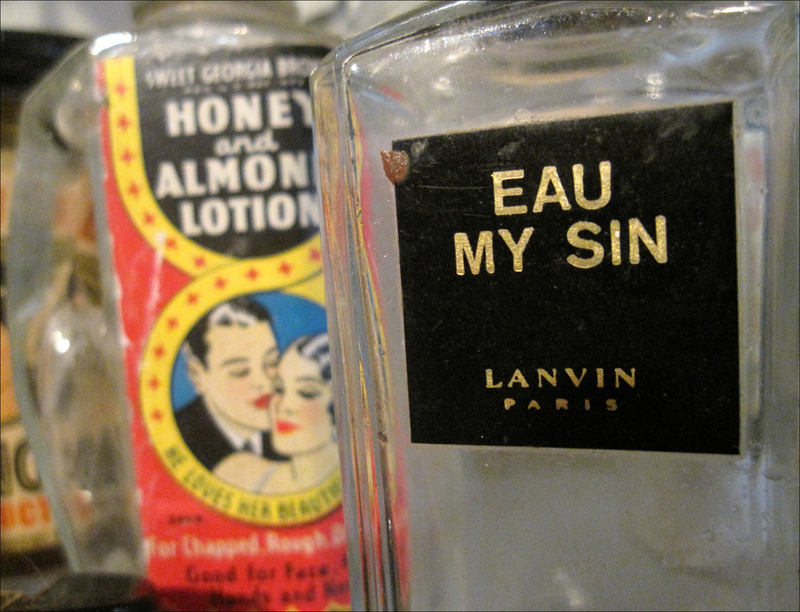 This one gives me chills – “Jean Harlow’s husband, Paul Bern (MGM producer), sprayed himself with her Mitsouko just before committing suicide, only two weeks after their wedding.” Do you know why?? These are classics for sure. How are the bottles – as nice as the old/originals? Thx for the reply. HH was a genius marketer! I’m guessing that Bern was jealous of Gable, thought Jean and he had “a love thing” going on. Interesting, didn’t ever hear about any of this – maybe/probably the Studio swept it under the rug – not good for one of their big stars to be under investigation, huh? Who else would you put into the “laughing vamp” category? Glad you’re enjoying the FW coverage – was great having Laura Wood there to help w/ the late night stuff as I’m the morning person type.